The revolution has been televised. Sustainability has been something we’ve cared about forever — but we are saluting the sea change in the wider world’s attitude towards plastic of late. We're even in the process of making a short film about the plastic problem — stay tuned to see our short film, out soon, starring Tom Szaky of Terracycle. It seems as though we have the BBC’s Blue Planet II series to thank for amplifying awareness of environmental issues and for highlighting the impact of human activity on marine life. Since Sir David Attenborough’s final Blue Planet show aired albatross parents unwittingly feeding their chicks plastic and mother dolphins exposing their calves to pollutants through their contaminated milk, it appears to have inspired a higher conscience from corporates and consumers alike. Plastic is a bad habit we all need to break — and some of us are successfully changing our polluting ways. Last year, 500,000 plastic straws were used by the London EDITION — if lined up in a row, this is about 63 miles; that's further than the distance from London to Brighton and 10 times around New York’s Central Park. Having launched their campaign on Earth Day date 22 April 2018, they aim to help to take single-use plastics out of the hotel industry’ and championing anti-plastic activism, Edition Hotels’ Stay Plastic Free initiative has tapped into the planet-saving passion of Ben Pundole, vice president of Brand Experiences at EDITION Hotels, and it hopes to see all of the hotels in the Marriott-owned chain from Miami to China become 100 per cent single-use plastic free by the end of 2019 — this includes coffee cups, straws, toothbrushes and minibar items. They are finding alternative solutions such as switching all single-use amenities into reusable bottles while hopefully inspiring other hotels and hotel companies to do the same. It’s great to see them teaming up with ocean-loving heroes Project Zero, radical conservationists, the Lonely Whale Project and bottled-water company Just, whose sustainably-sourced H2O comes in paper-based bottles with wide-mouth cap structures made from biodegradable sugarcane-derived plastic. — Ben Pundole, vice president of Brand Experiences at EDITION. Bravo to mega-chain Hilton too, for calling time on plastic straws on 23 May 2018, removing them from all of its properties in Europe, the Middle East and Africa by the end of 2018, vowing to make this global by the end of 2030. That means saying bye-bye to enough straws annually which if laid end to end would exceed the length of the River Seine. 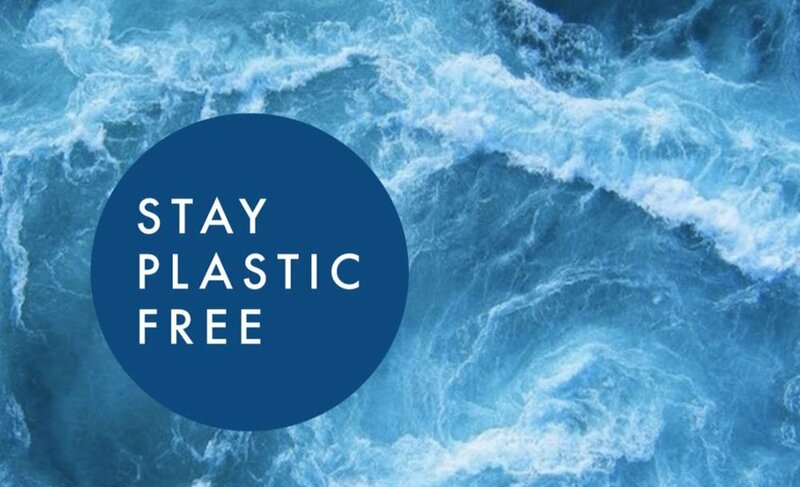 We’re also cheering Visit England for launching a #PlasticPatrol campaign to rid the UK's inland waterways of plastic pollution, and help combat the global plastic crisis by taking the problem out of the water one edifying expedition at a time. Sign up for their clean-up events across the country — there’s even the chance to take part in a free paddle-boarding session along England's canals and rivers with like-minded planet-loving volunteers. Found everywhere from the deepest canyons in the ocean to the frozen Arctic tundra, ocean plastic is undoubtedly the environmental scourge of our age. Head of Oceans at Greenpeace and spokesperson for their anti-plastic campaign Will McCallum has written an edifying guide to changing the world. How to Give Up Plastic (Penguin) highlights what we can do in our own homes, communities and workplaces to start bringing about the end of our plastic dependent age — from microfibres and microbeads to straws and single-use plastic bottles. Brimming with the latest research, tips and success stories, this is a genuinely inspiring and worthwhile read. #StrawsSuck #TheLastStraw#PlasticPollution #PlasticSoup #OceanPlastic #WasteFree: it’s all very well having a sea of hashtags but what it comes down to is the changes we’re willing to make every day that enable us to honour the way we feel. Why not swap out plastic water bottles for a stylish StaySixty alternative, takeaway cups for their bamboo counterparts and single-use straws and cutlery for reusable versions? After all, little ripples make big waves.